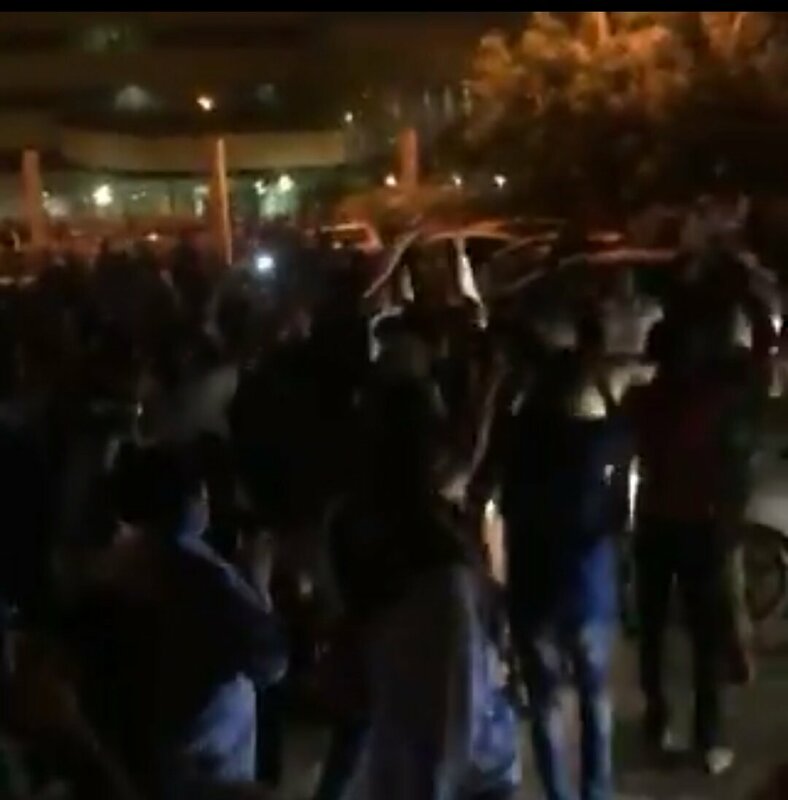 Its past midnight in Sudan and scene in front of Royal Care hospital in Khartoum where some protestors are being treated and others passed away. 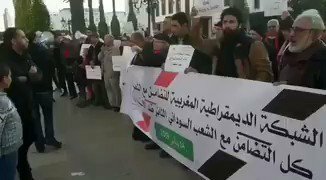 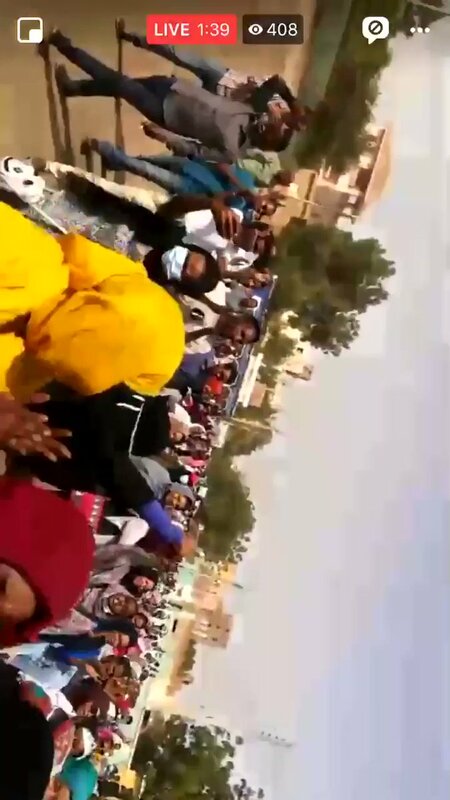 Calls being made for more people to join the demonstration in which people are chanting anti-govt slogans calling on Bashir to step down. 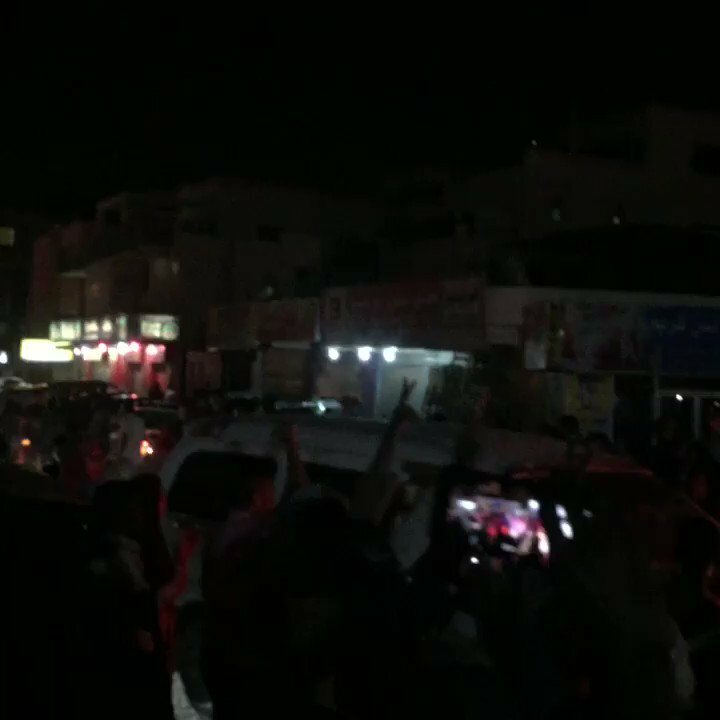 Protesters at the Royal Care shouting "take down with the regime"
There are still loud cheers in front of the Royal Care hospital, where two people were killed by the government's militia. 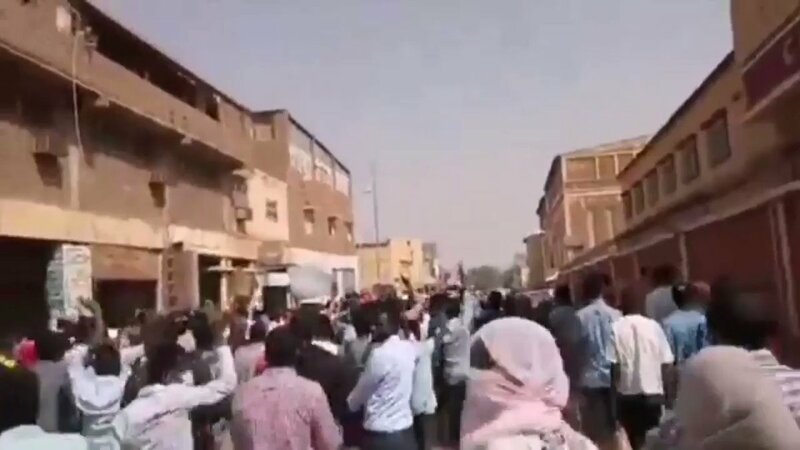 Protests in Sudan addressed for the first time in the Security Council today; US, France UK and others called on authorities to respect freedoms, investigate excessive use of force, accountability. 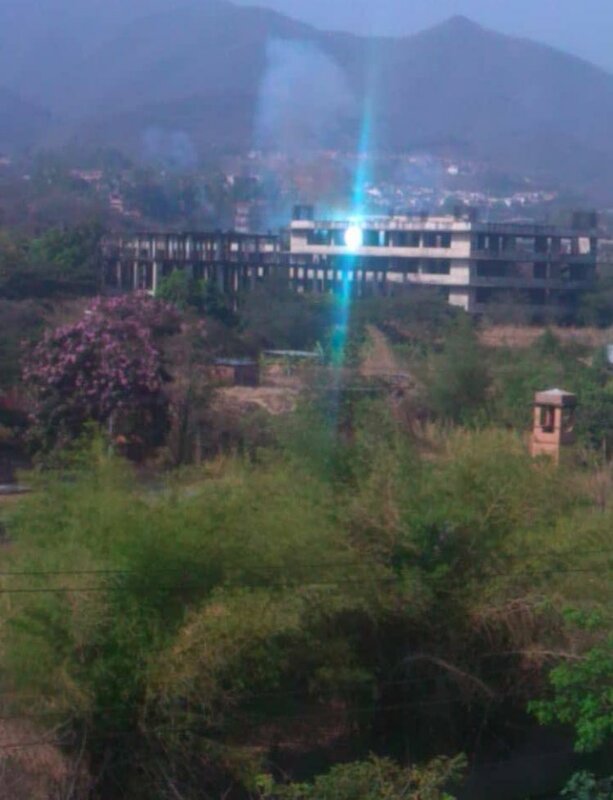 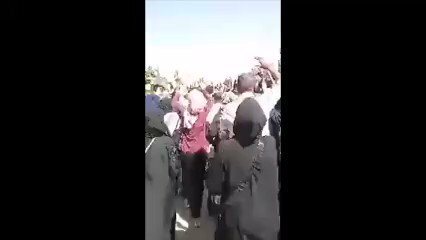 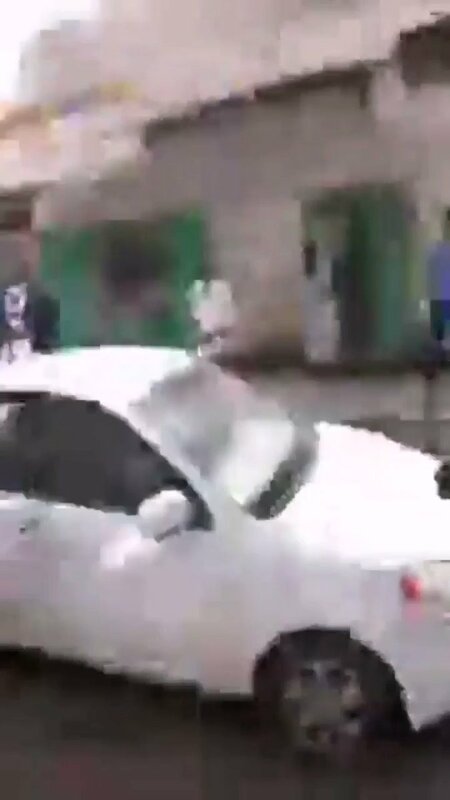 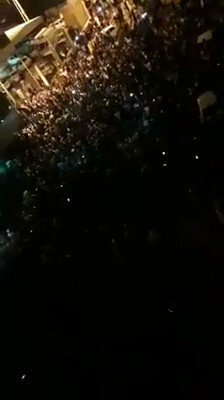 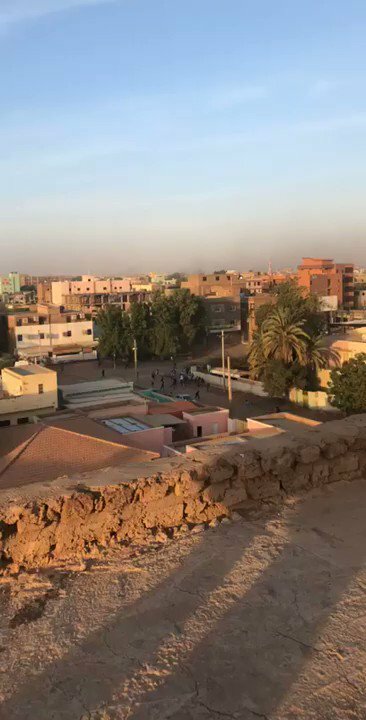 Video of protests in Burri - gunfire can be heard. 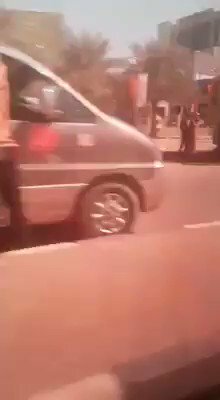 Renowned journalist Faisal Mohamed Salah is arrested by NISS (security apparatus) - again. 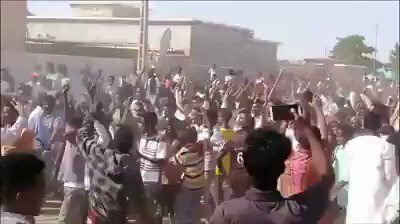 Faisal was arrested along with journalists Al-Zain Osman and Musab Al-Hadi, from the offices of newspaper Al-Youm Al-Tali. 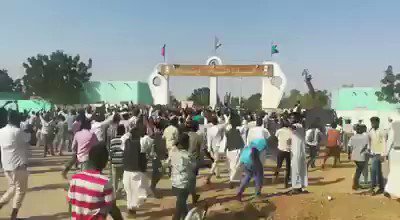 Protests start in El-Obeid, North Kordofan. 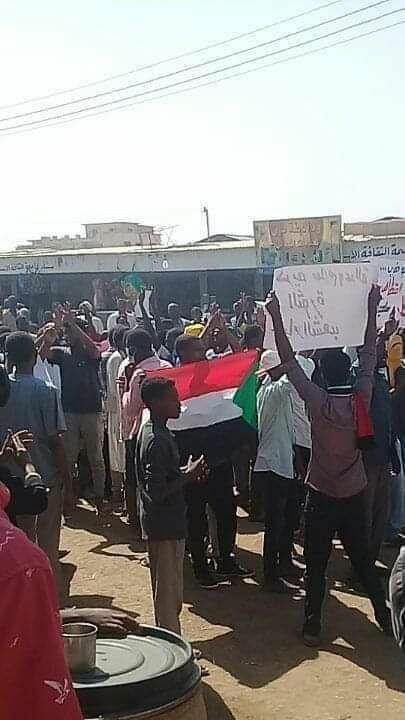 Protests in Al-Doiem, White Nile State and Jabal-Owlia, Khartoum State. 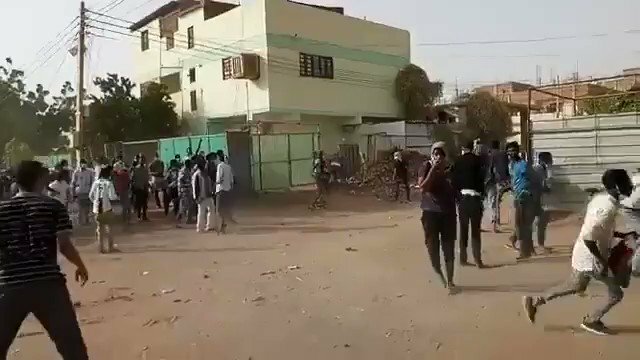 Sudan: gunfire can clearly be heard in Bahri today as the government cracked down on the massive protest march. 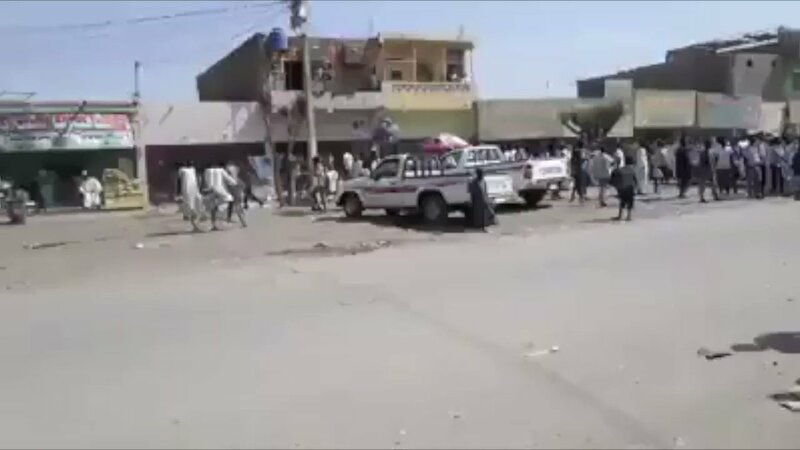 militants can be seen chasing protesters in the streets in their pick-up trucks. 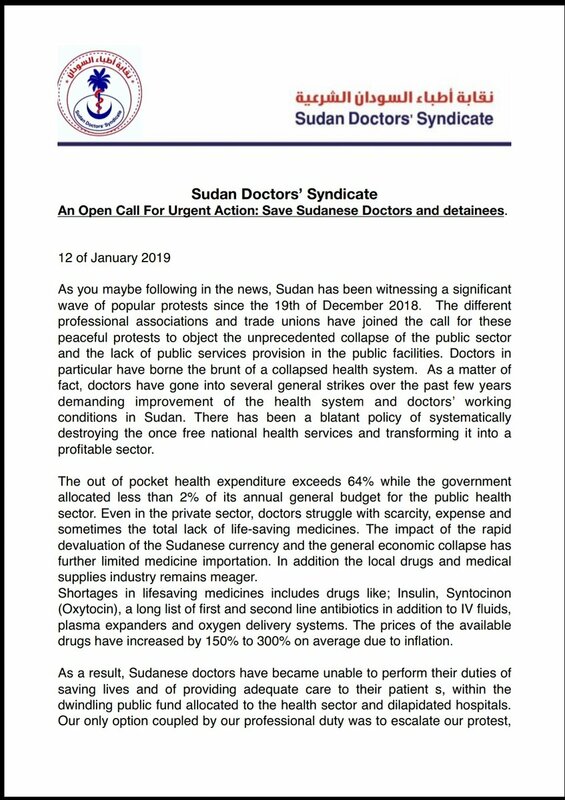 Sudan Doctors' Syndicate An Open Call For Urgent Action: Save Sudanese Doctors and detainees. 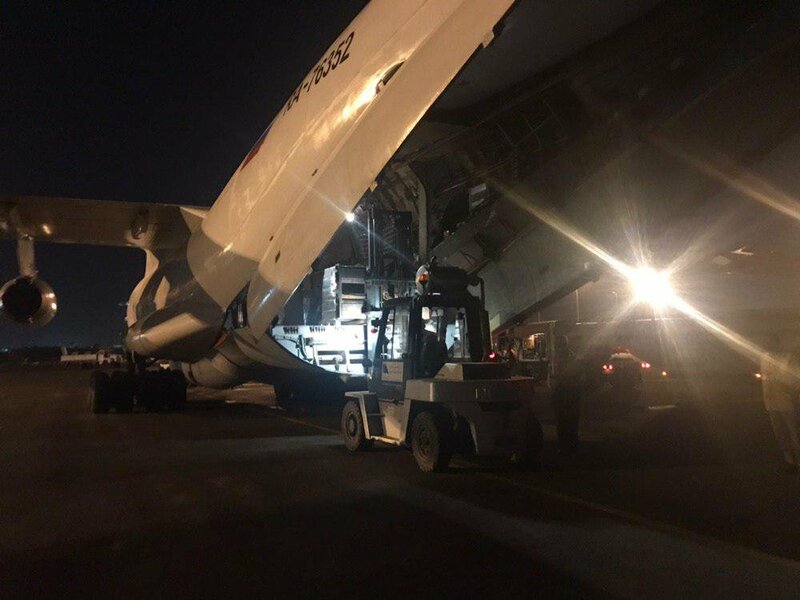 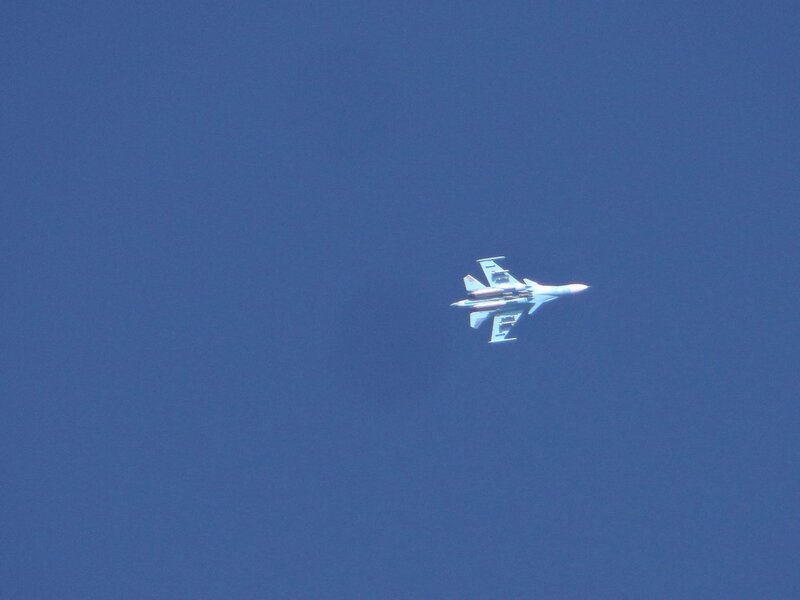 10 days into the #مدن_السـودان_تنتفض protests, an "unidentified philanthropist" flew reportedly 32 tonnes of flour into Sudan with an Ilyushin IL-76TD (RA-76352) on 29 Dec 2018. 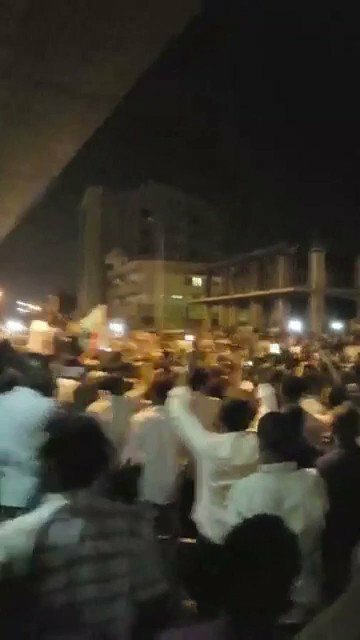 Extremely high bread prices were one of the catalysts for the ongoing demonstrations.